…given that things pick up pretty quick at this time of the year and this helps stop the lamenting of the Christmas break and re-concentrates the mind for the year ahead. Motorcycle mot equipment sales for example, really start picking up pace as we head into the start of the new season. 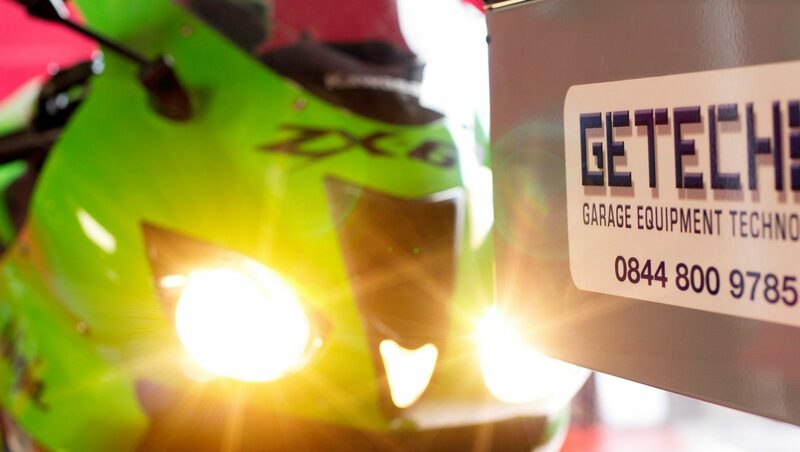 It isn’t surprising really as for just £35 +VAT per week on the lease purchase situation you could have a complete motorcycle MoT testing bay installed ready to enhance your business turnover. If a large project is not planned, or if you are simply not motorcycle orientated, then now is also the time to look at other ways to enhance the business. Potentially a set of Hydraulic Play Detectors could allow you to move the MOT test assistant to a new, more productive role for the garage. Considering the cost to add this to an existing Class 4 or Class 7 pit based MOT bay is just £4k then surely this is the “must-do” project of the year for those final few stations who have not upgraded to One Person Testing in their premises. If you are already ATL or OPTL then it might just be time to seek quotes for the service and maintenance your existing garage set-up – and for this, our in-house service department will be pleased to discuss specific maintenance requirements for your equipment with you. Whatever your capital equipment or service requirement, GETECH are here to help you achieve the best testing equipment, with the longest standard warranty at a competitive installed price. Contact us on 0844 800 9785 during normal office hours to discuss your requirement, our friendly staff will assist. Previous PostPrevious Happy Christmas & New Year!